This dish so delicious, it won me a Mini-Challenge on the first episode of Food Network’s Rachael vs. Guy Kids’ Cook Off (unfortunately, most of it was edited out of the episode)! Pound Chicken Thin: One at a time, place the chicken breasts between 2 pieces of plastic wrap and lightly pound with a meat pounder to a thickness of about 1/2 inch (12 mm). Season the chicken generously on both sides with salt and pepper. Cook Chicken: In a large nonstick frying pan, heat the olive oil over medium-high heat. Working in batches if necessary to avoid crowding the pan, add the chicken and reduce the heat to medium. Cook, turning once, until nicely browned and opaque throughout, 4-5 minutes per side. Transfer each piece to a plate as it is finished and cover with aluminum foil to keep warm. Add the shallots and garlic to the frying pan and cook, stirring often, until softened, 3-4 minutes. Add the tomatoes and vinegar and cook, still stirring often, until the tomatoes begin to soften and split, about 4 minutes. Stir in the basil and arugula, and season with salt and pepper. 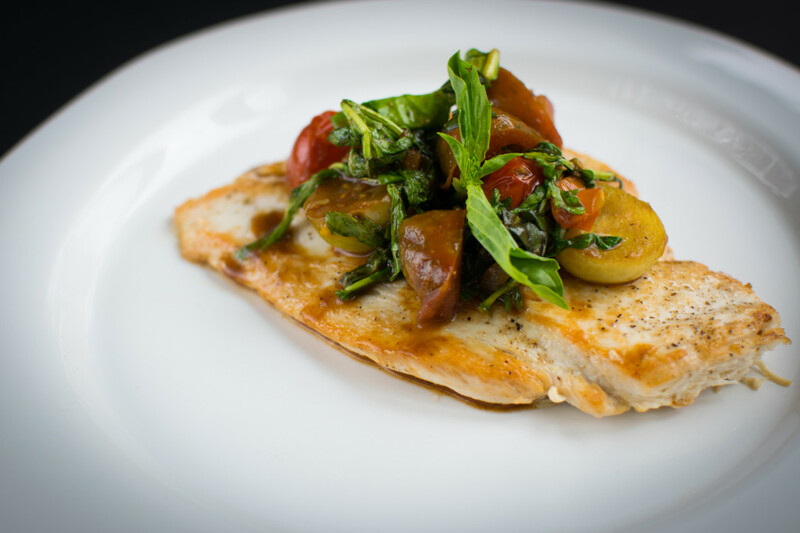 To serve, place a chicken breast on each of 4 warmed individual plates and spoon the warm tomato salad on top. Serve right away. Hi Lulu! Thank you so much! I am glad you liked the show! I will try to get a video like that out because that sounds great! In the mean time you can get some back to school videos on my channel that i did a few years back. Thanks for your email!